Cheating in sport rocks the very foundation of playing fair and its use and abuse brings shame to the athlete, his sport and his country. Tessa Chaderton-Shaw, the Executive Director of the Caribbean Region Anti-doping Organisation (RADO) told the opening of an anti-doping project here recently that it is important to educate athletes and potential athletes that drugs in sport don't work. "Think of the investment in building a world class athlete. Think of the investment made into Usain Bolt," she said. "It is important to teach our young people that they can achieve and excel without illicit and harmful toxins in their bodies; that they can add value to their country by staying true to the Olympic values of excellence, honesty, dedication, courage, fair play and respect for themselves and for team players." Chaderton-Shaw's comments seemed appropriate at the launching of that UNESCO-funded project (Building Awareness and Advocacy to Eliminate Doping in Sport) to be undertaken by the National Anti-doping Organisation. 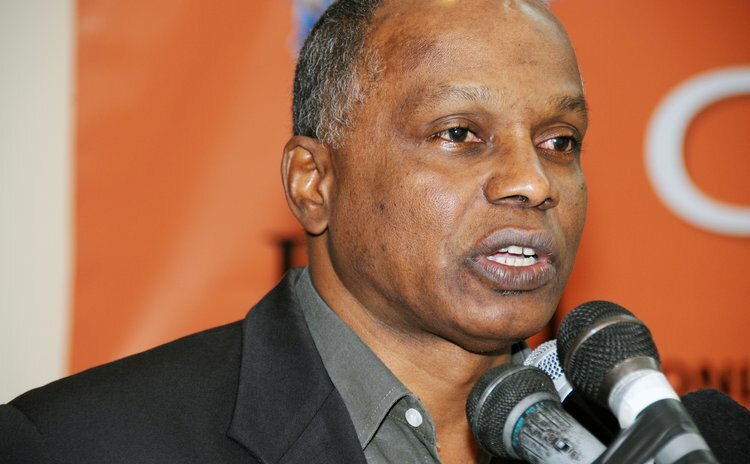 "The aim is to make the entire populace and particularly all involved in sport to join in the fight against doping in sport; that is, using drugs and illegal methods to gain advantage and cheating to win at all costs", said Felix Wilson, Chairman of NADO and president of the Dominica Olympic Committee. "Athletes you are doing untold damage to your health". NADO Inc. in Dominica was established as a corporate body on May 22, 2013. There are two other members of the board of NADO Inc. - the Permanent Secretary of the Ministry of Culture, Youth and Sports and the Accountant General of the Treasury. They are part of the NADO for oversight and accountability, Wilson said. "It is expected that the NADO will be given an annual subvention by the Government of the Commonwealth of Dominica and the Dominica Olympic Committee in order to perform its functions as are necessary to facilitate the control and prevention of doping in sport," he added. NADO is the local representative of the regional body, Caribbean RADO, and the international authority, the World Anti-doping Agency (WADA). "Dominica has been affiliated to these bodies over the past ten years. The local chapter was duly constituted in July 2012, following the recommendation of the Dominica Olympic Committee and confirmation by the Minister of Culture, Youth and Sports," Wilson said. "All sporting national associations and the DOC had to adopt the WADA code in their constitution in order to adopt rules for initiating, implementing or enforcing any part of the doping control process since March 5, 2003". The US$20,000, one-year project is expected to erect billboards, organise workshops, conduct outreach programmes to primary and secondary schools and provide education materials to groups. "Most definitely that project will help in the fight for clean sport, the development of young people and the health of all sport men and women," said Minister of Education Petter St. Jean who deputised for the Minister of Sports at the function. "That fight against doping in sport has been collaborative and cooperative. Therefore, I see the local NADO working together with athlete, schools, the Sports Division, support personnel including P.E teachers, coaches, officials, managers, national associations, district Olympic academies, the media and the general public to eliminate doping in sport".